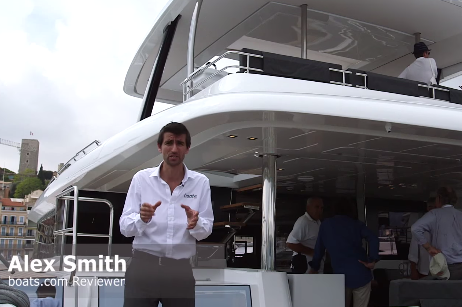 Alex Smith previews the new flagship Boston Whaler 420 Outrage. The Boston Whaler 420 Outrage is set to be the new flagship and largest ever model from this famously capable American builder. 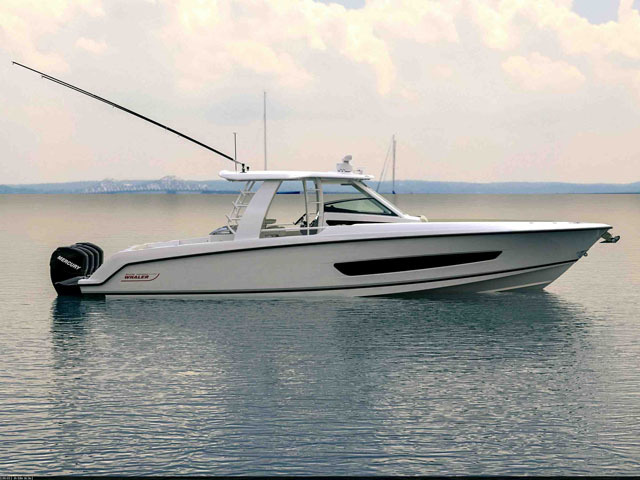 Described as “the biggest, boldest, most inspired Boston Whaler ever”, the 420 will take its place as Top Dog in a 30-strong fleet that, until this latest project, had not ventured beyond the 37-foot mark. 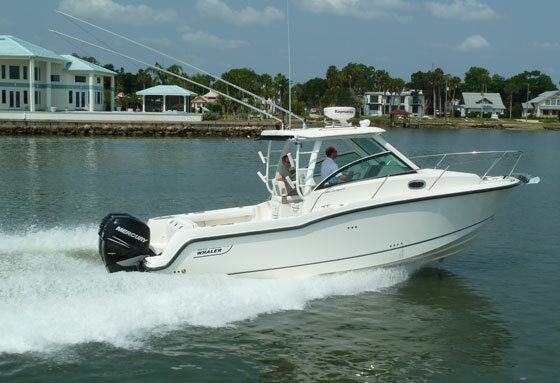 See previous Boston Whaler reviews and videos on www.boats.com, including: Boston Whaler 350 EU Edition: First Look Video and Boston Whaler 285 Conquest review. 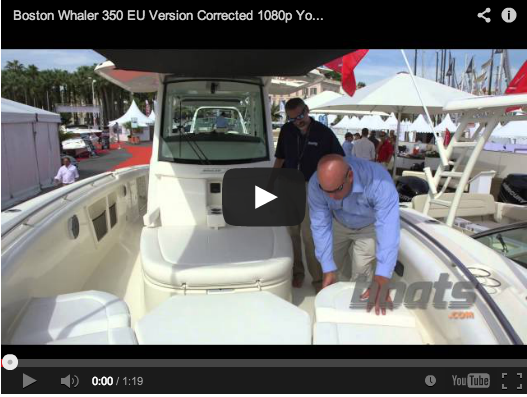 The largest ever Boston Whaler, the 420 Outrage promises to be a significant upgrade on the 370 Outrage. 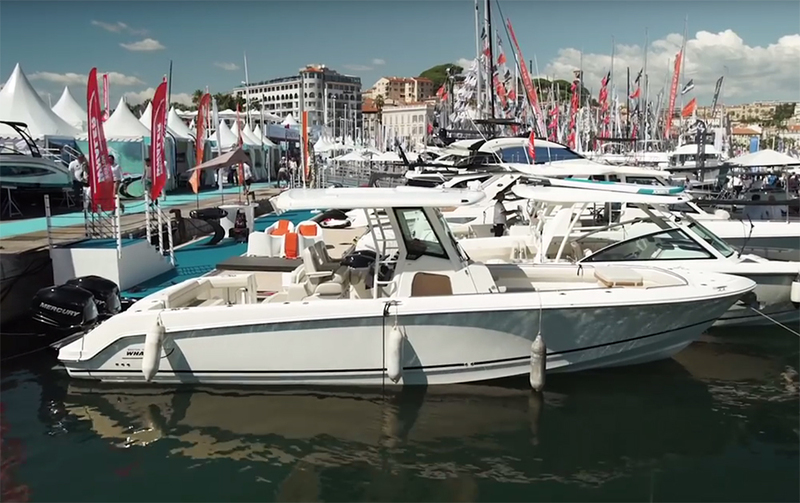 However, the tried and tested formula that has seen Boston Whaler achieve a reputation for high-class leisure boats with fishing-friendly configurations for more than 50 years remains very much intact on this latest boat. You get the same versatile, walkaround, centre console arrangement most pundits would have predicted, plus a power plant very much in keeping with the modus operandi laid down by previous Outrage craft. In this case, that means a quadruple rig of Mercury Verado 300s with joystick control, integrated SmartCraft "VesselView" display, power steering and digital throttle and shift. 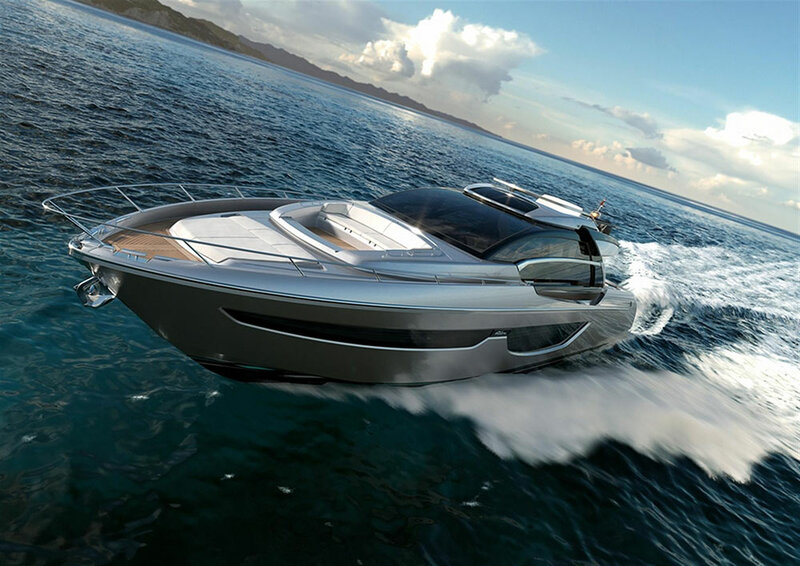 This obviously brings a hefty price tag and sizeable running costs into play, but it also promises an even more potent combination of performance and refinement than that exhibited by its smaller sibling, the immensely impressive 370 Outrage. 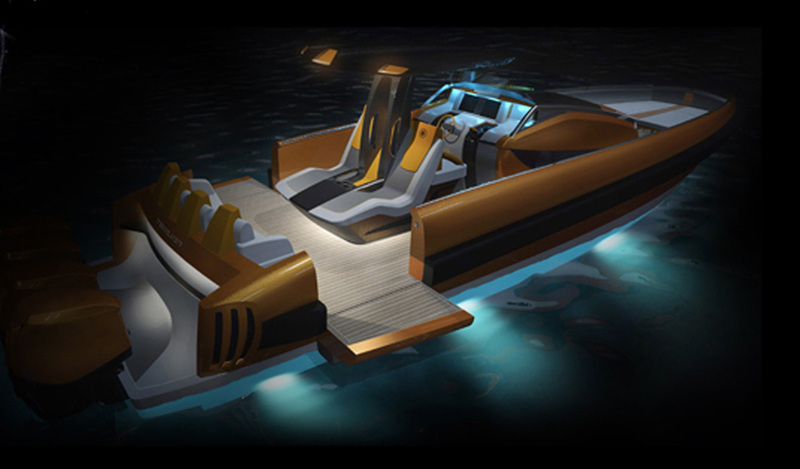 While the company’s claims to have gone “beyond the limits of what’s possible in a centre console boat” (and its equally optimistic suggestion that there is “literally nothing else like it on the marketplace”) may be a touch stretched, there is no doubt that a global audience of Whaler fans will be seriously excited about this latest upsizing opportunity.